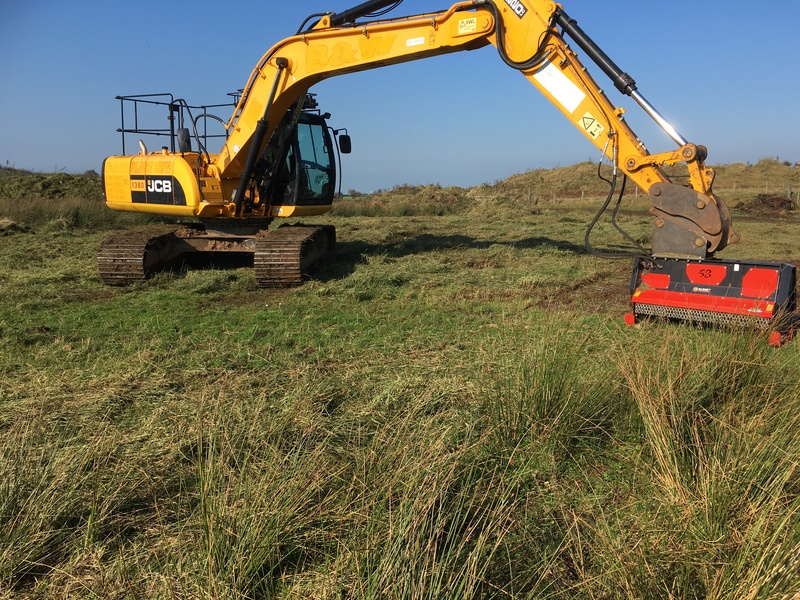 Blaney have developed a range of cutting heads, for 3T to 20T machines, which can be coupled directly to your machine, and are capable of cutting high density material (3 years growth). 1. Excavator cutting heads fitted as standard with a hydraulic ‘powerbox’ to help overcome variations of pump outputs in different excavator makes and models. The ‘powerbox’ is made up of a number of hydraulic components to protect the circuit & motor and get a balance between tracking and head speed. 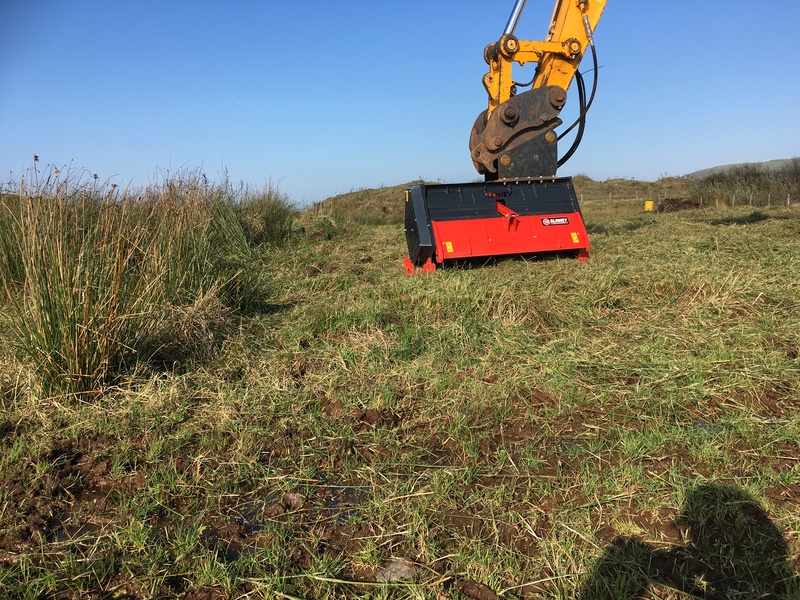 The ‘powerbox’ allows for adjustments to optimise the head to digger output within a digger size range, ideal for those with multiple excavators. Blaney have developed a number of special options which enhance the operation of their range of excavator cutting heads. These include the unique head float system which reduces the input required from the operator and provides protection against scalping, especially when verge cutting. 2. 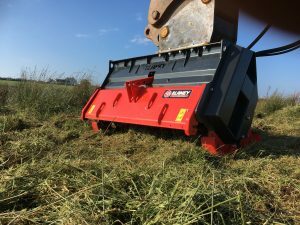 Blaney also offer the option of a hedgecutter head equipped with a motor uniquely tailored to suit the specific machine to which it is being fitted. This will help the machine to run efficiently but is more suited to lighter cutting with no protection given to the motor head. Is for those looking heavy-duty, focusing on a contractor market with a need for machine deal with most applications with high durability. 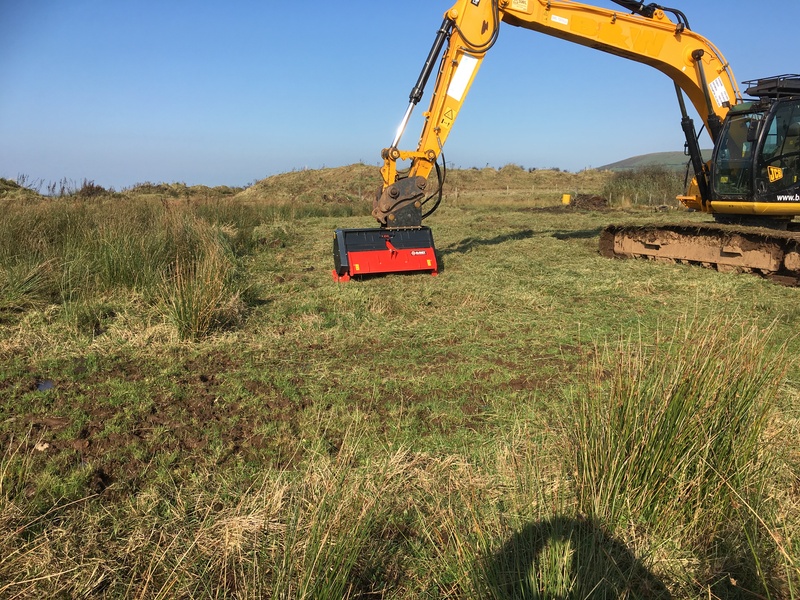 Suitable for Cutting rushes and scrub , and has beed developed with productive Tracked excavator Swipe cutting action in mind with Skids and guard design. 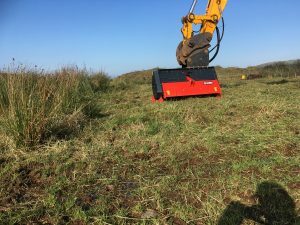 The show model is fitted with a mulcher/ caged rotor (blades can fully rotate ie360 degrees within the rotor so Cutting edge can be protected better if hitting stones or Rock). – Layout is different so that for drive setup, motor is above the rotor instead of being behind it and is now fully enclosed by a reinforced skin. – It has been developed to develop Higher torque to reduce speed deceleration when cutting heavy material. – Front and rear debris deflection has been changed from rubber flaps to chains for increased durability and effectiveness. – option of internal cutting that will result in finer chopping. Given our experience in design and manufacturing, we are pleased to apply our expertise to custom build machines for you.